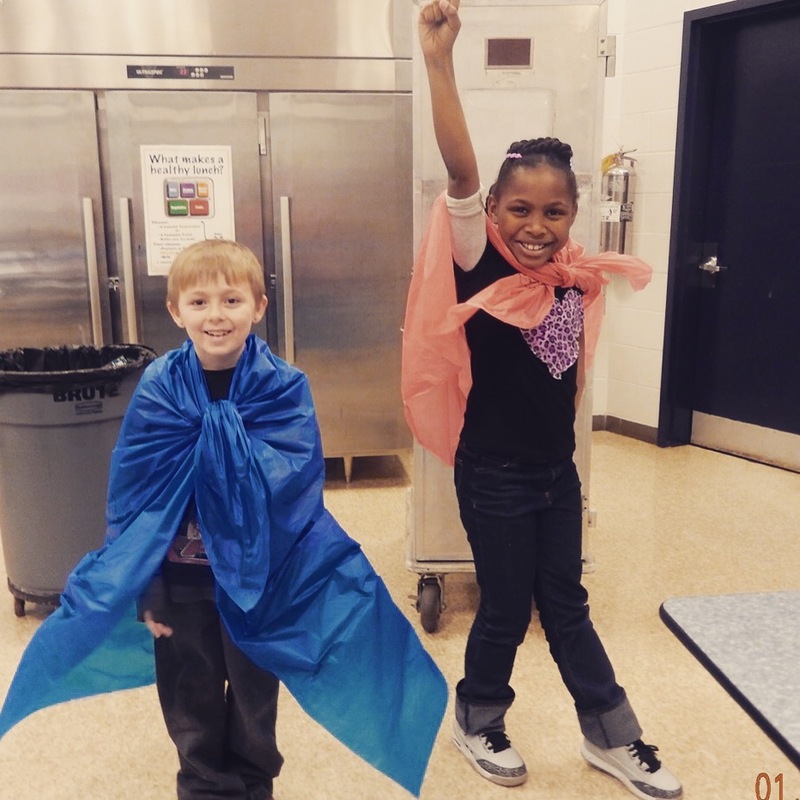 Two students at Cane Run Elem. working in their activity books while wearing their Superhero capes! 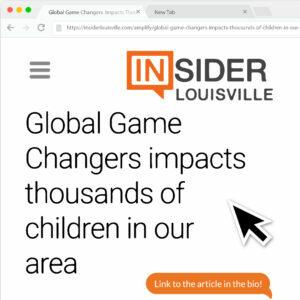 Monday, September 14th, saw the beginning of the Global Game Changer’s before and after school programs at various YMCA Childcare Enrichment Programs all over the city. Site directors attended a training session earlier that month to get ready to bring their best to their kids and the program! Each site chose a time and at least two days of the week to implement GGC. 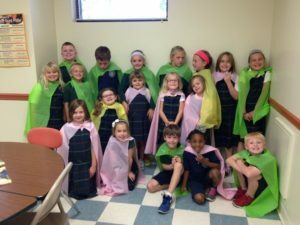 Kids in schools in many different places began to receive their activity books, capes that they could decorate and started to hear about how they can make a difference in their world. Each child took a pre-program survey so we could track the data and many were ready and willing to help others and Ignite Good! in their community! Each of the 15 sites that initially began that week started with many different ideas but with the common theme of introduction. The introduction welcomed and began the child on their journey with Global Girl, Little Big Heart, their trusty canine sidekick, Pixel and the many different real-life GGC Superheroes in their activity book. 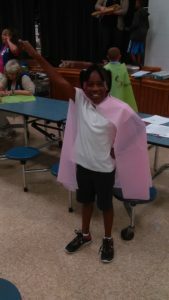 They learned and signed the Global Game Changers Alliance Pledge, decorated their capes, chose a Superhero name and drew themselves as a hero. 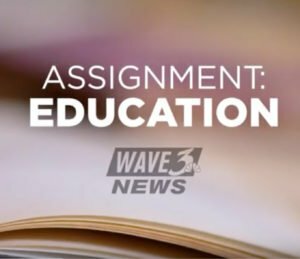 A student at Blue Lick Elem. wearing her cape, doing her Superhero pose! After the introduction, the program starts the very important part of introducing and teaching the children about the different Heart Badges or causes that they can be passionate about. 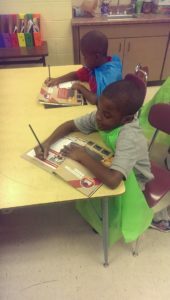 One to two weeks after the first 15 began, another 6 began to implement the GGC program as well! Please continue to check our blog posts as we will be highlighting and focusing on each of the CEP sites individually! 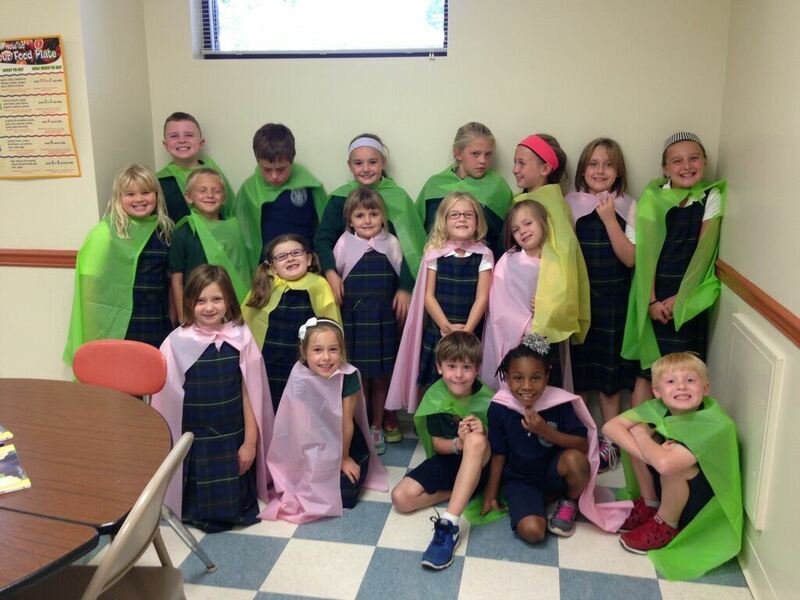 All of the children that participate in the GGC Program at St.Raphael School!